With Pastor Jacqueline’s retirement in June, 2019, we have an exciting and important decision to make as a congregation. We can chose to give her the honorary title of Minister Emeritus to honor her past service to the congregation and allow for her to have … read more. Rev. Dr. Mark Morrison-Reed to Keynote District Religious Education Conference at UUOakland – Sign up now! Our church is hosting the 6th Annual Pot of Gold Conference sponsored by the Pacific Central District’s Liberal Religious Educators Association. September 30th from 8:30 am – 4:00 pm. Acclaimed UU minister and author Rev. Dr. Mark Morrison-Reed will give the keynote address: “The Ignored, … read more. We are more committed than ever to offering Chalice Camp II: Identity and Justice this year at the 15th annual East Bay Regional Chalice Camp — UU Summer Day Camp! For registration and more … read more. What is a circle supper? It’s a chance for the congregation to gather in each other’s homes (or a nearby restaurant) for a shared meal. It’s a chance for us to get to know each other in a smaller setting. It’s a great meal with … read more. Embracing Journeys is for visitors, new members, and long-time members seeking deeper connection. 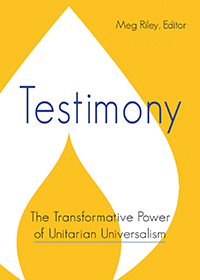 It is here to help you decide whether Unitarian Universalism and First Unitarian are right for you. It also helps you find your place at First Unitarian and get connected to other … read more.